International students interested in earning a graduate degree in psychology need to be well-informed about a number of considerations. Graduate programs will be interested in a student's ability to perform at a high level, so students need to be able to show that they can do this. Once students have a graduate degree in hand, they will find many fulfilling career opportunities that await them. International students who are interested in becoming an expert in psychology should consider pursuing a graduate degree in the U.S. Typically the doctorate of philosophy (Ph.D.) in psychology is the most respected degree, but it also takes time and work to achieve it. A master's degree (M.A. or M.S.) can also prepare one to work in some fields of psychology, or it can also be a stepping stone to getting your PhD. It is an important choice of whether and where to get a graduate degree in psychology, and students will want to have as much information as possible. What follows are some important considerations to keep in mind. 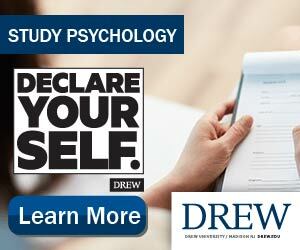 To obtain psychology graduate degrees in the U.S., international students must apply to an accredited graduate program. There will be intense competition for nearly all graduate programs in the U.S., with many qualified applicants vying for only a few openings. That being the case, international students will have to submit as attractive an application package as possible to their prospective programs. U.S. graduate programs in psychology typically look for high GRE/TOEFL exam scores, grade point averages, strong letters of recommendation and writing sample, and a detailed explanation of why you will be a good fit for their department. The competition at top schools is high, so students should try to determine how the quality of their application compares to your prospective graduate school's expectations for incoming students. While an undergraduate degree in psychology can be useful for one's future career, the majority of people who use psychology in their careers are those with a graduate degree in psychology. People with degrees in psychology typically go into fields such as university instructor, researcher, organizational or industrial psychology, educational psychology, forensic psychology, and many other fulfilling careers. International students will find that a degree from a U.S. graduate program in psychology can open many doors for them in their future careers. For many people, being able to earn psychology graduate degrees in the U.S. provides its own reward. Students who are interested in deploying their expertise in the field should investigate prospective department placement records. Placement records provide details about how well students fare in the job market after attaining their degrees. The most informative placement records will include information about the number of students that enrolled in the program, how many achieved their graduate degrees, whether or not these graduates pursued careers using their degrees, and if they have, where they ended up getting a job; all of this data must be taken into account over a significant period of time. Many departments will not provide this much information, but the closer to it, the better. Those who are interested in moving on to a career using their graduate degree in psychology will also have an interest in attending the most prestigious school possible. There are many great U.S. graduate programs in psychology from which to choose. However, international students should be aware that the more prestigious the school is, the more rigorous the demands for students to first be admitted and then to attain their graduate degree.